Since World War II, Baden-Württemberg has faced many waves of migration. While the war story is luckily not repeating itself, there are nevertheless similarities to the past and the present time. A historical digression. Today, approximately 17.1 million people with a migration background live in Germany. Baden-Württemberg alone accommodates 2.8 million of them and has, thus, with 25% the largest migrant share among the other Federal States of Germany. The motives for immigration are various. Some people leave their country because of poverty, others are faced with threats for their lives or for the lives of their family and seek a safer environment. Others, again, leave because they want to be able to keep their language or to express their beliefs freely. 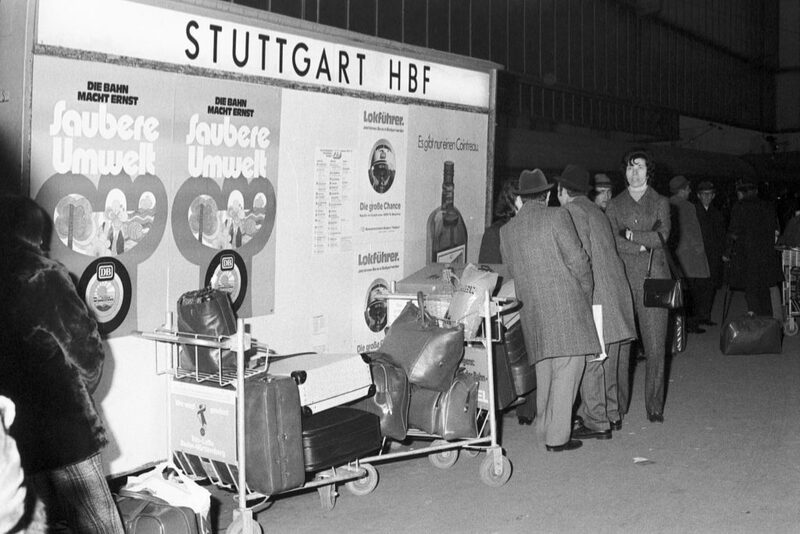 Between 1950 and 2005 about 16 million people were counted to have entered Germany, half of them arriving from foreign countries or the former DDR (German Third Reich). A recent survey of the Statistical Office of the Federal Republic of Germany shows that, in addition to its position in the centre of Europe and its above-average economic growth, Baden-Württemberg has also other attractive features such as the landscape and the quality of life. According to the same study, the cities Stuttgart, Karlsruhe, Mannheim, Heilbronn and Pforzheim in the South-West of Baden-Württemberg have become significantly more appealing in recent years. The reason for this is the greater number of job offers on the labour market. Employers like the global players Bosch, Daimler, Hugo Boss, Porsche and SAP annually draw the attention of experts from around the globe. The immigration movements to Germany and to Baden-Württemberg are bringing with them a great development potential for the economy and the society – especially if one considers the great societal challenges due to globalisation and demographic aging. However, an important prerequisite for the cultivation of this potential is an efficient welcome and recognition culture as well as a harmonic multicultural co-existence. Germany is, according to a study conducted by the BBC (2016), very popular in the world as an immigration country. It demonstrates a considerable performance in the integration of foreign residents into society and workplace and, thus, plays a pioneering role in integration policy and access to the labour market. Surveys also confirm that the life satisfaction of newcomers from abroad is in line with the one of the people already living in the country. According to Mayor Rommel, cultural diversity is found in all human societies – it was and still is the driving force behind cultural change. The article on Baden-Württemberg’s history of migration can be found in full length in our magazine. “New in BW” will be out on the market on April 22nd.